Choosing a Christmas tree could be a daunting task especially when you don't know the different types and what is available. For custom decorating, please see our Holiday Decorating Service and our Christmas Tree Decorating Service area of the site or call 201-444-0155 to speak with one of our knowledgable staff members. Visit our Expert Gardening Tips for some tips and tricks to keep your Christmas tree fresh and lively though out this holiday season. Because the white pine in so abundant in New Jersey it should not be forgotten. The White pine is pretty to look at but does not have a conical shape. The needles are long and soft 2"-5" long. slightly fragrant and branch strength is moderate and Price-wise the most economical. Named after David Douglas who studied this tree in depth in the 1800's. Has a great shape. The needles on the branch are conical like a bottle brush. Branch strength is weak , ornaments must be light. When the needles are crushed they have a nice sweet pine fresh aroma, wonderful for sachets. 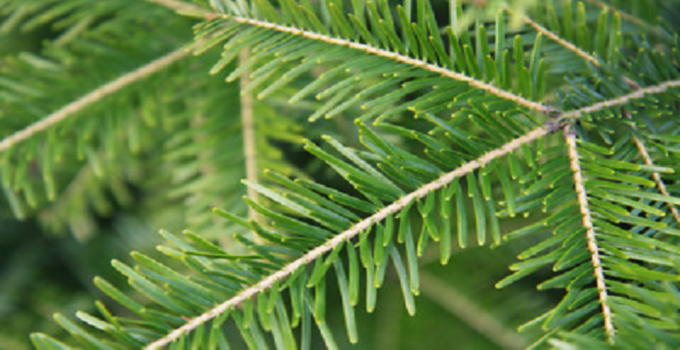 Needles of this fir tree are of a dark green color with silvery undersides . also has neat triangular shape. Like the Douglas, the branch strength is weak but nice needle oval shape at the tips. Fragrance is a nice deep pine smell. Native to the Appalachian mountains in North Carolina this beautiful tree has flat needles with branches that grow upward therefore giving it great branch strength. Needle retention is very good and smell medium to high. Here at Denny Wiggers, The Fraser Fir is King. Because of it's needle retention and branch strength it has become our only tree that we use when we custom decorate.